Plaoshnik is the area which includes the archaeological excavation focused around the church that was built by St. Clement in 893. St. Clement was one of the two best known disciples of the creators of the Macedonian Cyrillic alphabet and the activists that brought the church to recognize other languages besides Latin and Greek, the Saints Cyril and Methodius. 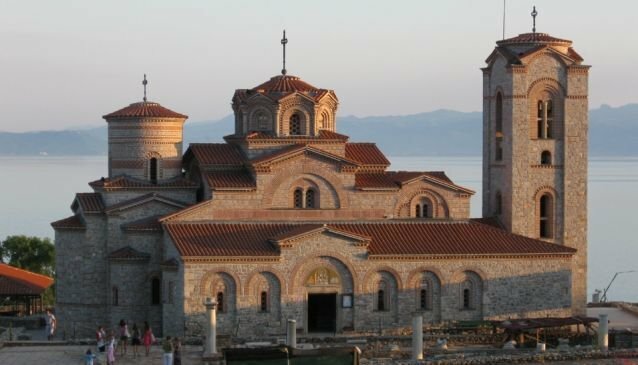 He was the first Macedonian to be appointed an Orthodox Bishop and the founder of the Ohrid Archbishopric, where he constructed the Monastery dedicated to St. Panteleimon in 893. Meanwhile the same area was used for his teachings where he created the first Macedonian University that educated over 1,500 students in that time. It is even believed that this is the oldest discontinued university in Europe itself. Upon his death St. Clement was buried in the church dedicated to St. Panteleimon. The exterior of the church has traditional architectural details, but the interior is characterized by the mosaics and the different additions done through history.